…Once Seth has established the importance of a Free Prize he then describes how to Sell The Idea, or present it, to the company. This isn’t just your boss or the suits in the boardroom. This includes your whole company. Your boss, your peers, your reports, your department, your other department, the marketing team, the frontline…everybody. He has a long list of example Tactics that he gives to help you do just that. In my opinion, this is the strongest and most helpful chapter of the book. Everything from the Really Bad Powerpoint to the Painting a Portrait. 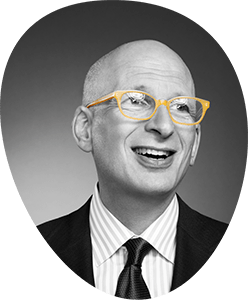 Seth knocks out a lot of myths about idea presentations and hones in an the most overlooked and underestimated tactics of getting your point across in an effective manner. The book is worth the purchase price for this chapter alone.